Now You Know compares the Tesla Model 3 Long Range against a 2016 Honda Civic and a Model X P90D to get a better idea of how much road "noise" each produces. In order to get the information, they took sound levels inside each car while driving. This way, they can provide an accurate idea of the measurement in real-world conditions. Each vehicle was tested at 30 mph on back roads, 55 mph on the highway, and 75 mph on the highway. They just use a simple decibel meter to get the numbers. In order to get fair, "scientific" results, they took several five-second sound samples during each test and then averaged the data. This way, it accounts for different stretches of road, varying external noise, wind, traffic, etc. It's also important to note that the AC is off in all the tests. On backroads, the Model 3 and Civic were equal, at 59.76 dB, while the Model X was a touch quieter, at 56.66 dB. On the highway, during the lower speed test, the Civic was the loudest, followed closely by the Model 3. The Model X was significantly quieter. Although all the cars were obviously louder on the highway at the higher speed, the results mirrored that of the previous highway test. Welcome back for another episode of Now You Know! 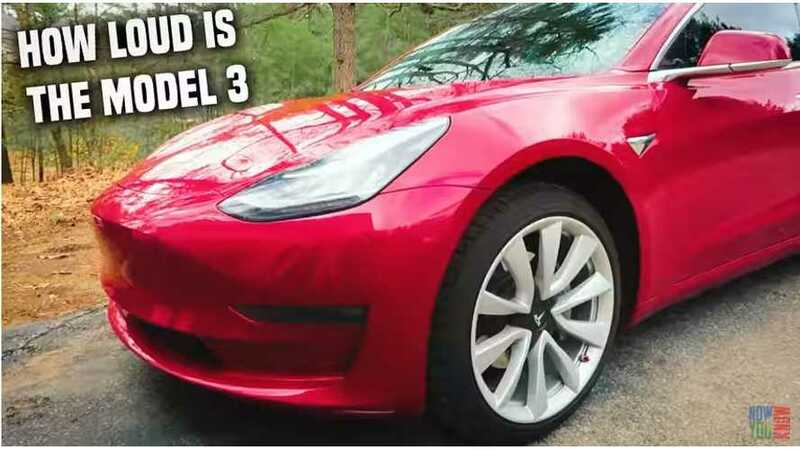 How loud is the Model 3??? We compared the sound levels of the Model 3 vs the Model X and a Honda Civic. See which car was the loudest and which was the quietest, next on Now You Know!